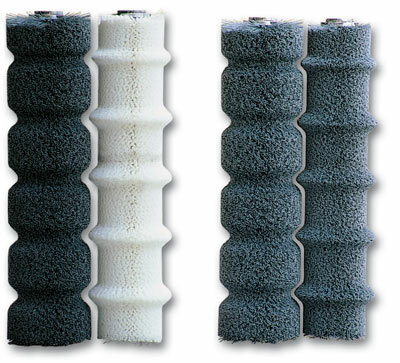 The Spiral Brushes can be coiled and properly fixed at the core that can be consisting of a shaft or a tube, the choice between the two systems is made based on the application and the size of the brush. also the type of Strip, constituting the spiral, can be Normal (N) or Stapled (G) based on requirements of density or of rotation speed of the brush. La spiral brush with the normal strip is indicated for peripheral speed not higher than 15 m/sec, while the stapled one can bear speed up to 20 m/sec. The type of strip and the type of fastening will be appropriately designed by our Technical Office based on the specs of the application. 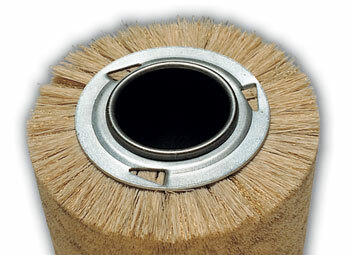 La brush is mounted directly onto the rotating shaft, the spiral close or distanced, is welded on both ends. 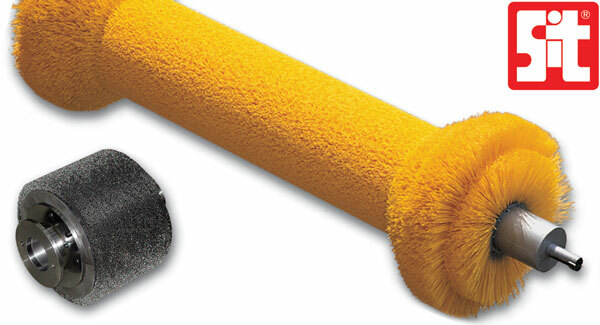 The shaft is re-usable and the brush, once worn out, can be re-filled at our factory. The tube can be supplied along with both adapters for shaft-connection and hubs for dragging or bearing. It is possible to fix a spiral roll brush normal or electric-welded (the closed pitch type only) or a number of single section rings, by movable threaded lock nut at one side only. This makes the replacement much easier. The spiral brush or single section rings can be assembled in a bank between two flanges, firmly blocked by flanging the tube (maximum thickness : 2 mm ). 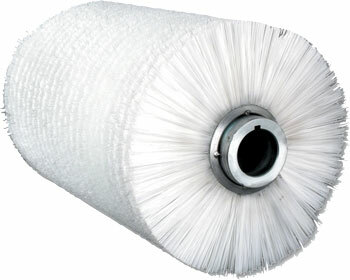 This makes the brush much denser and uniform. 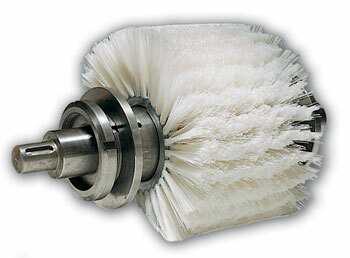 Spiral brushes are the best you can get both in terms of price and maintenance, and of mechanical yield. The building flexibility allows to obtain combinations between dimensions, density, trim length and type of filament practically infinite, making it possible to perform every type of superficial treatment. 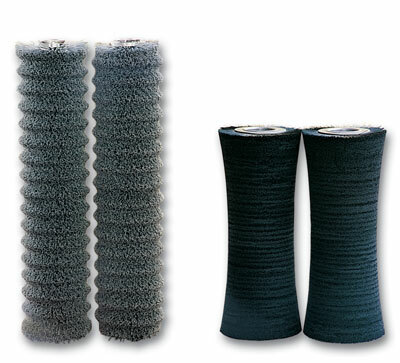 For special applications and on specific design of the customer, the cylindrical brushes can be shaped with all types of filament: synthetic, natural, metallic, mixed. Given the particular characteristics of performance depending on the profile of the brush, our technical office will advice on the best brush for the type of profile and the filament to be used.